How is Mat Foundation Idealized in Software “SAFE”? Analysis model that are used in computer software SAFE, finite elements are formed from object based model. Rectangular finite element mesh is developed depending on maximum allowable element size. Computer oriented method for structural analysis is used to solve plates(raft) supported on elastic foundation. These rectangular finite elements are interconnected to adjacent one only at corners (nodes) and a isolated spring that resembles to soil are used in modeling. Raft foundation is analyzed in SAFE based on classical theory for thick plates supported on the winkler foundations. The isolated spring assumed in modeling soil is called winkler foundation. This theory takes in to account the deformation due to transverse shear of the plate. 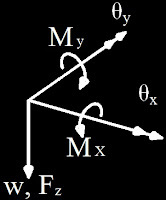 Shape functions of independent bilinear properties are taken account for rotational and displacement degree of freedom. 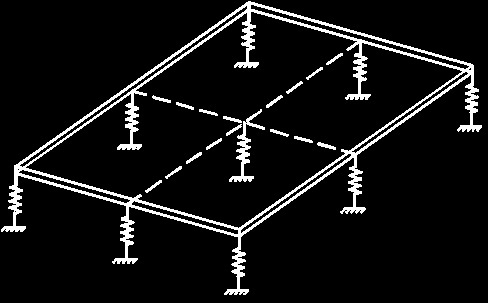 There force deflection equation can be derived for plate foundation element, by equating the first variation for total strain energy to zero for the required plate foundation system.